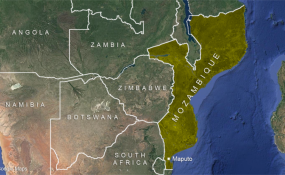 Maputo — Unknown assailants, believed to be Islamic fundamentalists, murdered four people on Monday morning in Nangade district, in the northern Mozambican province of Cabo Delgado, reports Tuesday's issue of the independent newssheet "Mediafax". The raiders struck the village of Changa at around midnight, brandishing machetes and firearms. According to an unnamed local source, cited by the paper, the terrorists also burnt down seven houses before melting into the night. This is the second time the jihadists have struck in Nangade. The last attack reported was much further south, in Quissanga district on Wednesday night. Given the distances involved, it is unlikely that the same group was responsible for both the Quissanga and the Nangade attacks. The United States oil and gas company Anadarko confirmed to "Mediafax" that it has been evacuating staff from its camp on the Afungi peninsula, in Palma district. Anadarko is the operator for Area One of the Rovuma Basin, off the Cabo Delgado coast, where huge reserves of natural gas have been discovered. The consortium headed by Anadarko intends to build natural gas liquefaction plans at Afungi. The Monjane and 25th June villages in Palma, south of Afungi, were the scene of particularly gruesome attacks on 27 May, when a terrorist group beheaded ten people. An Anadarko spokesperson told "Mediafax" the company "takes very seriously any potential threat to the security of our workers, and we are continuing to monitor closely the situation near Palma". Since last Friday, the paper added, security guards at the Afungi camp have been under express orders not to allow any vehicles to enter or leave the camp. The evacuation of workers by helicopter began on Friday - the company does not want to risk the road between Afungi and the aerodrome at Mocimboa da Praia. The security situation has also hit the Canadian company Wentworth which was obliged to seek an extension of its licence because of what it described as a "challenging" security situation. Wentworth is exploring for gas and oil in the Tembo onshore block in Mocimboa da Praia district. But the terrorist activities in Mocimboa da Praia "have prevented safe access to the area for Wentworth staff and contractors", said a Wentworth release.